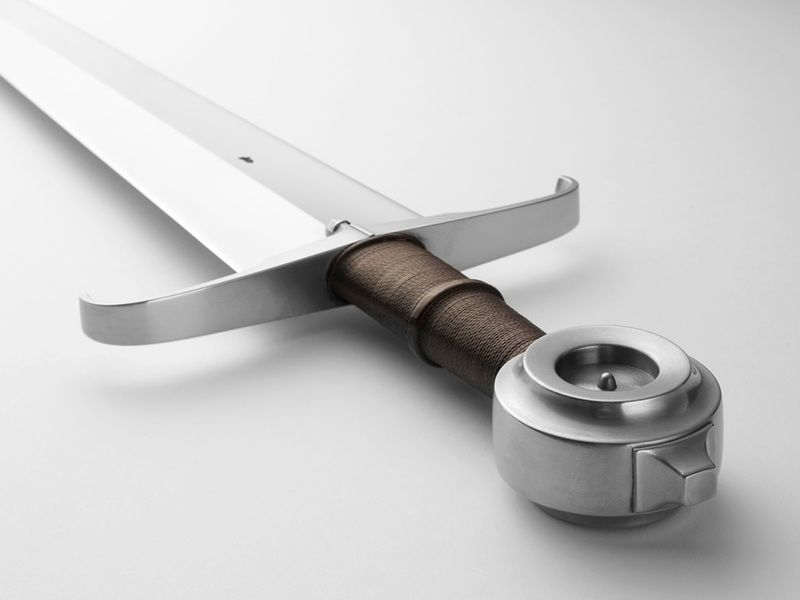 An exact replica of one of the swords from the Castillion find. 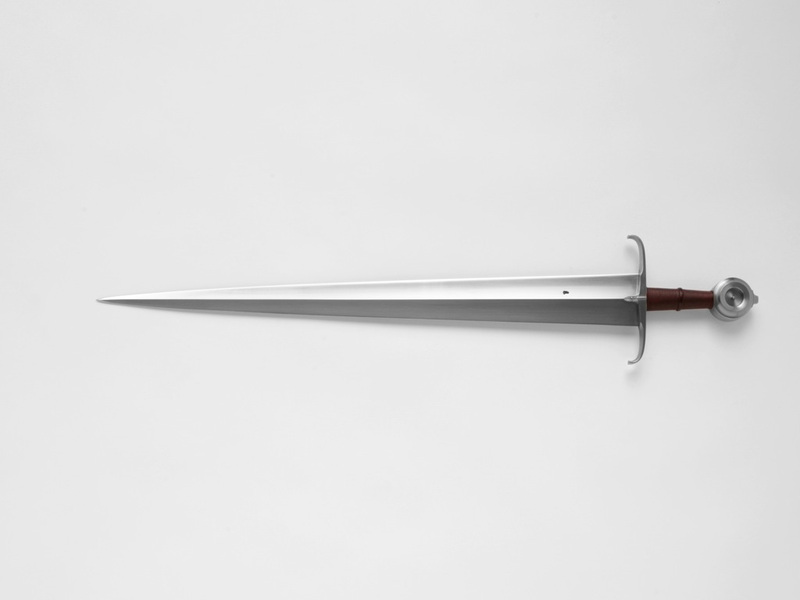 The original belongs to the Royal Armouries in Leeds and is presently on loan to the Frazier Arms Museum in Louisville, Kentucky (IX.3683). 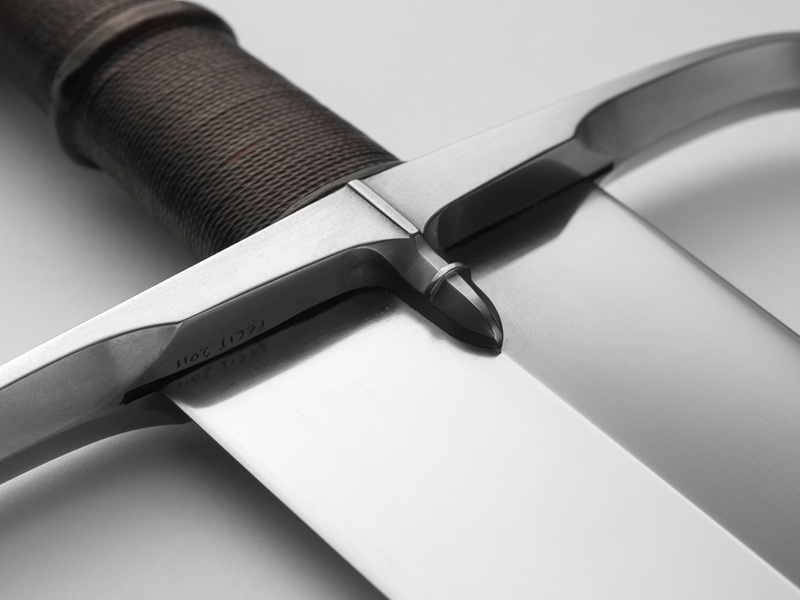 This was one of the first swords I had the privilege to document at the Royal Armouries. It is not very long on the blade, but massive, powerful and very well balanced. 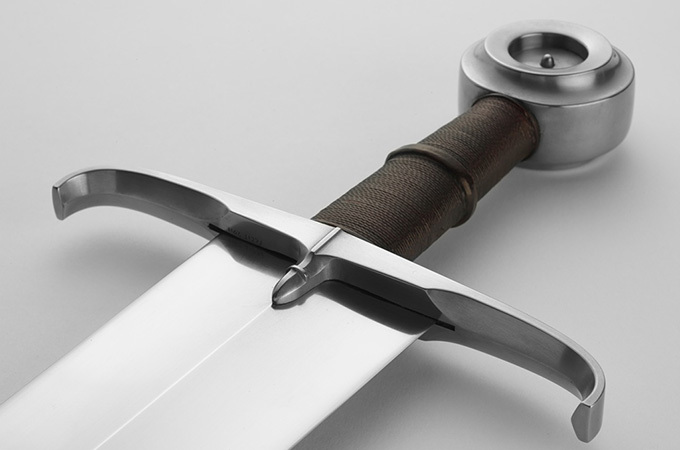 The whole sword has a feeling of sturdiness to it and is very ready in the hand. A serious weapon for close quarter fighting. 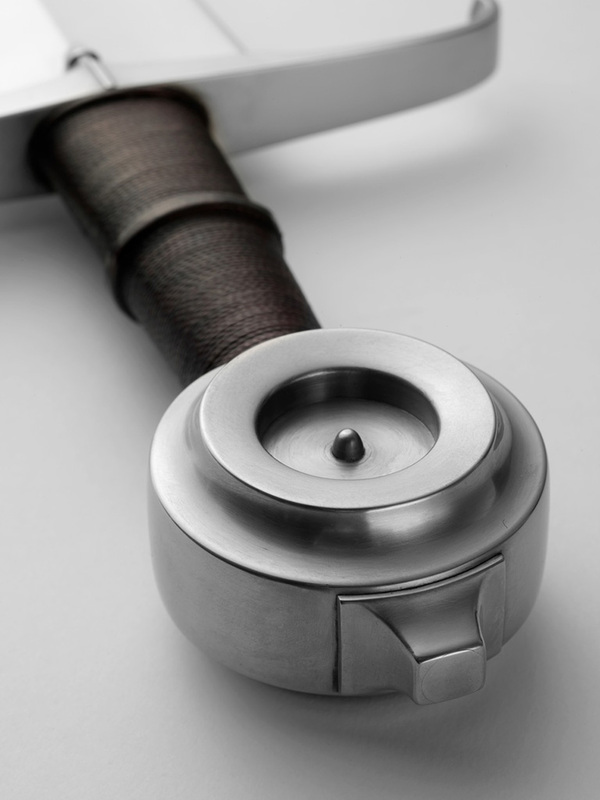 Apart from these martial and military qualities, it is also a beautiful object of masterfully accomplished metal craft. Every detail is designed with an eye to the overall effect and made with an economy of form and a deep understanding of lines and proportion.